What's warm and blind transfer and how it works? 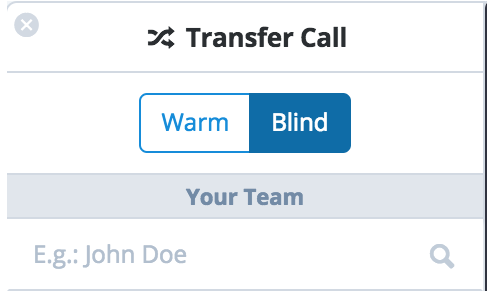 This is the typical transfer where the call goes directly to the selected agent. 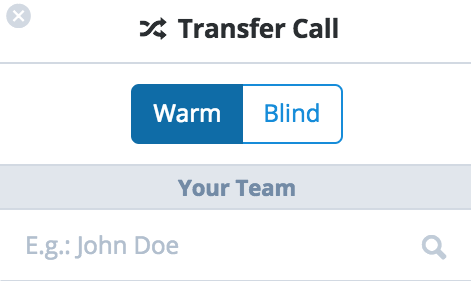 This type of call transfer allows you to talk with an agent of your team before transferring the call to him. This is useful if you need to explain something to the agent about customers situation or just asking if he is avaliable to answer the call. When you choose the warm transfer, the person who is calling will stay on hold, until one of you hang up the call. If you hang up the call, then it will be transferred to the other agent. If the agent hangs up the call, then it will be transferred back to you.